This versatile little piano grows with your child! The main unit, decorated with a whimsical animal’s head, is perfect for toddlers because it sits safely and squarely on the floor within easy reach of little hands. 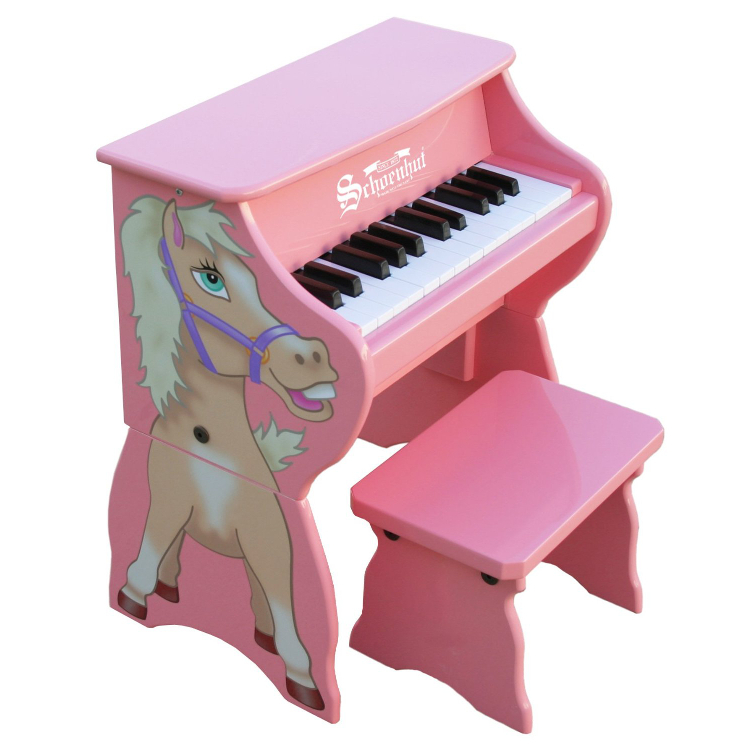 Later on, the sides with the animal’s body can be attached, conveniently raising the piano to a comfortable upright height for an older child seated at the bench. Schoenhut toy pianos are noted for their excellent quality and unique chime-like tones. The width of the keys promotes proper finger placement, enabling an easy transition to a larger piano. Whether for a holiday gift, special occasion, or just for fun, this little piano is a great choice. Most importantly, it will encourage a child on a path to music. Includes: Schoenhut’s Learning System and Bench.